On An Overgrown Path: What is a celebrity? 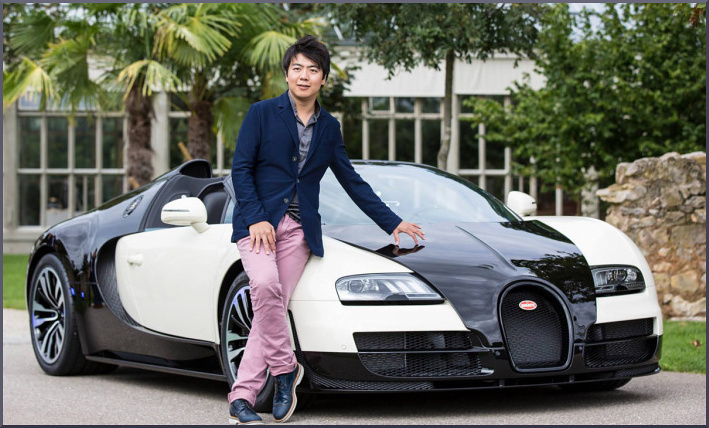 Photo of pianist Lang Lang with special edition Bugatti Veyron Grand Sport Vitesse “Lang Lang” comes via TopSpeed. Any copyrighted material is included as "fair use" for critical analysis only, and will be removed at the request of copyright owner(s). Also on Facebook and Twitter. Just so, although I rather prefer Malcolm Muggeridge's pithier description of celebrities as "...famous for being famous".